Sideloading apps on Android is incredibly easy—you just have to enable "Unknown sources" in your device's Security settings, then you're free to run an APK installer file to get the app installed. As simple as that sounds, the trouble comes when you're trying to find an APK to install. Now, thanks to a new desktop program from the development team at Onyxbits, downloading APKs with your Mac, Linux, or Windows computer is as easy as searching the Google Play Store. 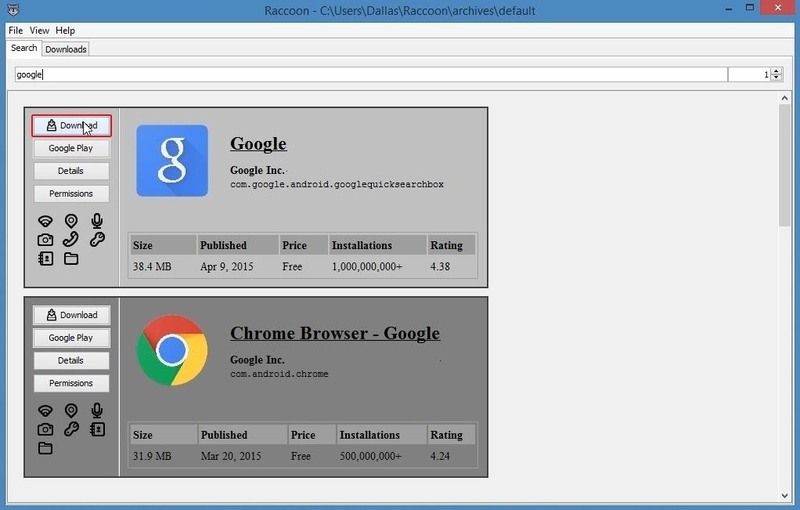 Onyxbits' software is called Raccoon, and it essentially acts as a desktop front-end for the Google Play Store. As such, you'll need a computer to use this software, but it's available for all major desktop operating systems. First up, head to this link from any web browser, then scroll down to the bottom of the page to find the download links. For Mac and Linux users, download the raccoon-3.3.jar file, but note that you'll need to have the Java Runtime Environment installed to run the program. Windows users, on the other hand, can simply hit up the raccoon-3.3.exe link. 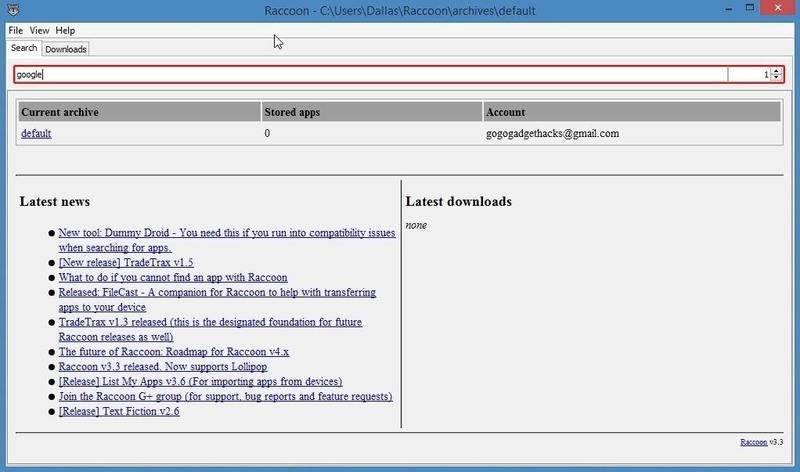 With the exe or jar file saved to your computer, simply launch it to run Raccoon. You may have to enter administrator credentials or verify that you'd like to run this file, so take care of that, then you'll be greeted by a login screen. From here, enter your Google account credentials, then click the "Login" button. The GSF ID field lets you enter your device's hardware ID number, but this is not required. 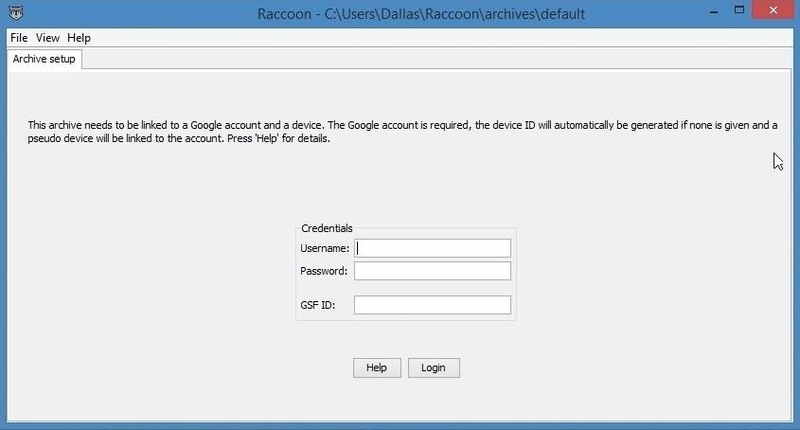 Once you've logged into your Google account, you'll be taken to Raccoon's main menu. From here, use the search bar at the top of the screen to search the Google Play Store for any app. After that, simply click the Download button next to a search result to save that app's associated APK file to your hard drive. APKs that you've downloaded with this program will be saved in a folder named "Raccoon." 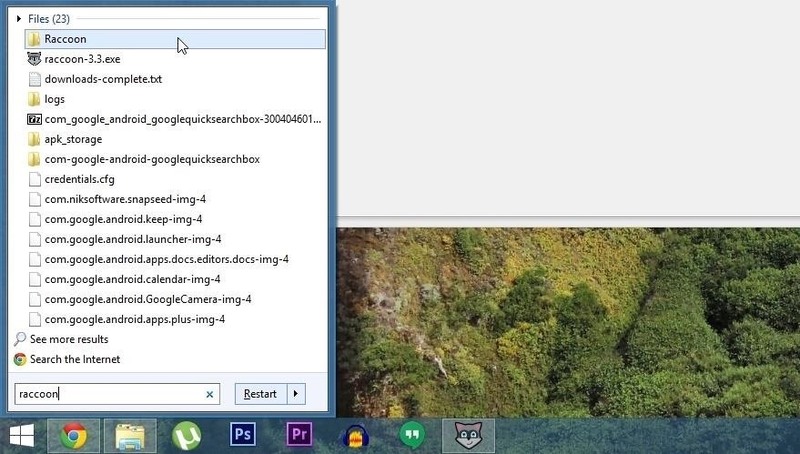 Since the location of this folder can vary depending on your operating system and version, the easiest way to find it would be to search your computer for the word "Raccoon." From here, open the folder named "Raccoon." From the Raccoon folder, head to the archives subfolder, then default, and finally apk_storage. Here you'll find a set of folders for any APKs you've downloaded. 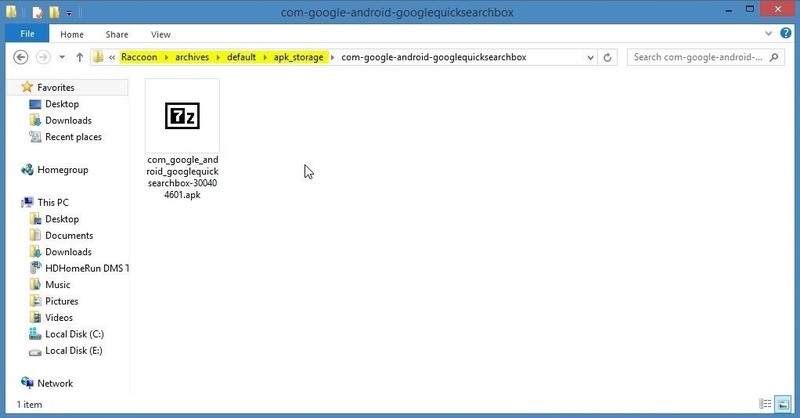 Simply copy the APKs over to your Android device using a USB data cable. On your Android device, use any file browser app to launch the APK, and you'll be greeted by Android's standard installer interface. 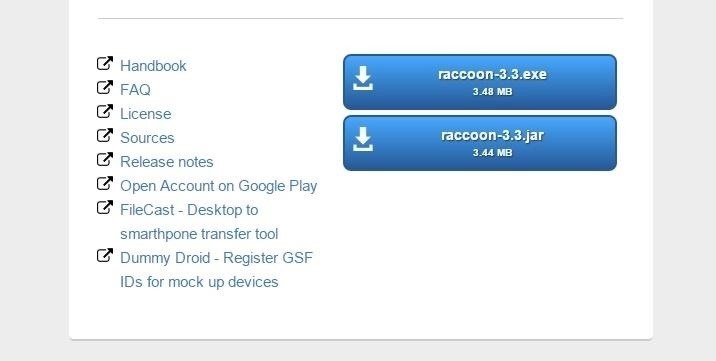 What apps have you downloaded using Raccoon? Let us know in the comment section below, or drop us a line on Android Hacks' Facebook or Twitter, or Gadget Hacks' Facebook, Google+, or Twitter. Very cool. Thanks for another great tutorial.